Take your time browsing the next couple of pages. 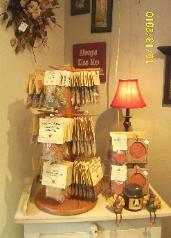 Or just stop by our Store at the Market Place Mall to see for yourself. Tuesday & Thursday 10A.M.-2P.M. & 4P.M.-6P.M. Are you redecorating your home? Are you planning the perfect Wedding? Are you looking for an unique gift for someone? get married at a destination spot and then have a small party upon your return. and will still look great at the reception. 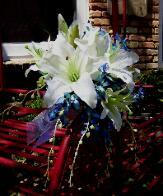 All bouquets and boutonniers are made with the highest quality of artificial flowers. 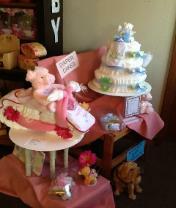 Diaper Cakes...... Is there a Baby shower in your future? $55 plus tax. Custom items added will be charged extra. 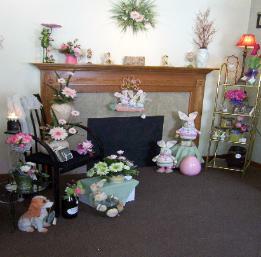 WEDDINGS.....If you are planning a Spring wedding, now is the time to book your Florist. Consider Silk.... It would be a Lifetime Keepsake of your Special day.